Give your living room a hit of style with the Maddox Modular Group 5 corner chaise in Eleanor Silver. The modern design is accentuated by piping detail on the arm and cushions, making it a sleek addition to any living room, just like the rest of the Maddox collection. 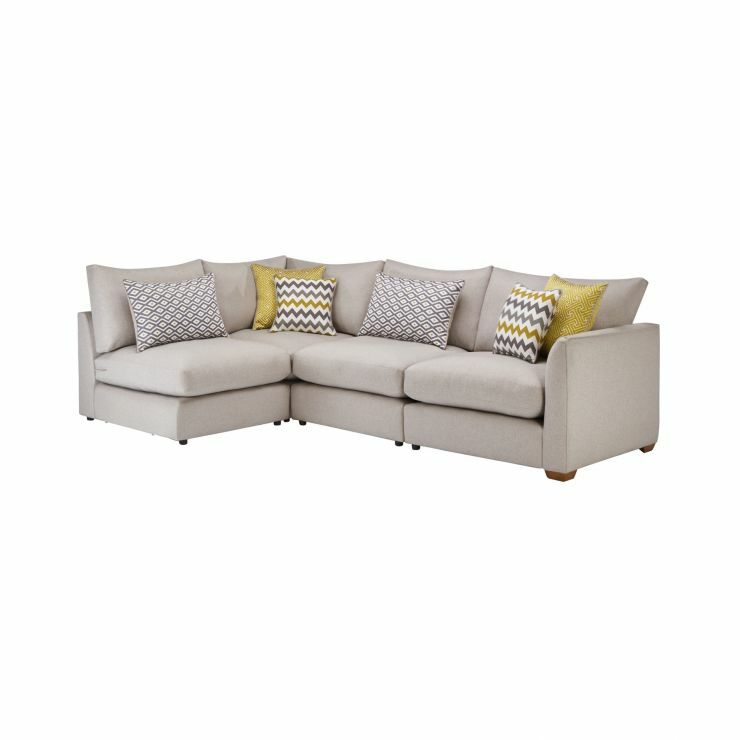 Easy to fit into the corner, the open design will instantly give your living room an inviting feel. Fibre-filled seat and back cushions make it easy to sink in and relax, while the solid hardwood foundation ensures you will enjoy this corner sofa for years to come.